This two-parter is a stand-out in the Who canon and, surprise, not written by Stephen Moffat but by Paul Cornell, who also wrote “Father’s Day.” It’s both terrifying and emotionally wrenching, plus tightly plotted and beautifully acted. 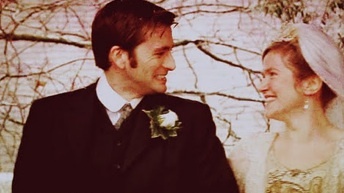 Also, seriously creepy antagonists and the Doctor gets married. Kind of.